X360 Multi-page Tiff Viewer ActiveX OCX 2.13 is active x software developed by X360 Software. 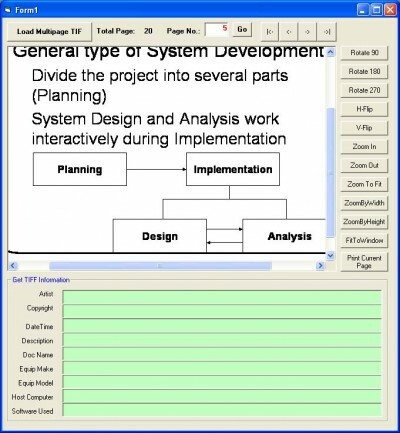 X360 Multi-page Tiff Viewer ActiveX Control helps application developers and programmers create applications with multi-page TIFF images viewing capabilities. Also, it helps you to get the embed TIFF tag from the images. 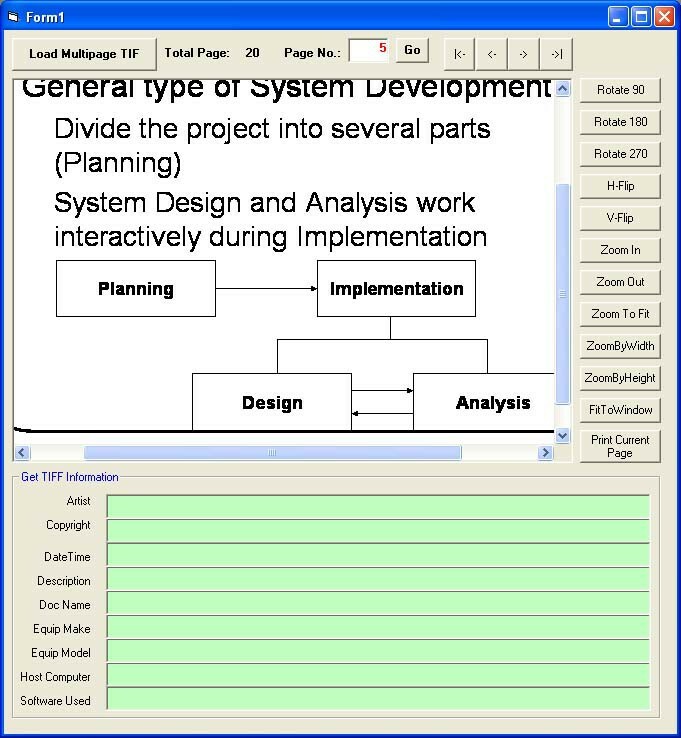 It helps programmer to view multi-page TIFF image within their applications. Also, you can use it to visualize TIFF images or multi-page TIFF images. Get TIFF tag information from the image. This development software is shareware, which means you can download and use X360 Multi-page Tiff Viewer ActiveX OCX 2.13 for free during the trial period (usually for 30 days). At the expiration of the period you will have to buy the active x product for $32.90. X360 Multi-page Tiff Viewer ActiveX OCX 2.13 is available at regnow and X360 Software website. X360 Multi-page Tiff Viewer ActiveX OCX 2.13 supports English interface languages and works with Windows 98/XP/Vista. We have tested X360 Multi-page Tiff Viewer ActiveX OCX 2.13 for spyware and adware modules. The software is absolutely safe to install. Our website has thoroughly tested development product X360 Multi-page Tiff Viewer ActiveX OCX 2.13, written the review and uploaded installation file (3280K) to our fast server. Downloading X360 Multi-page Tiff Viewer ActiveX OCX 2.13 will take minute if you use fast ADSL connection.